Developers behind plans to construct Scotland’s first purpose built film studio have held a public consultation, but comments can be submitted until February. A public consultation was held last Wednesday, intending to give the public a first glimpse of plans to construct a £130m film and television studio complex on land at West Straiton. • Availability of utility connections, in particular the 16 Meg Power connected load. 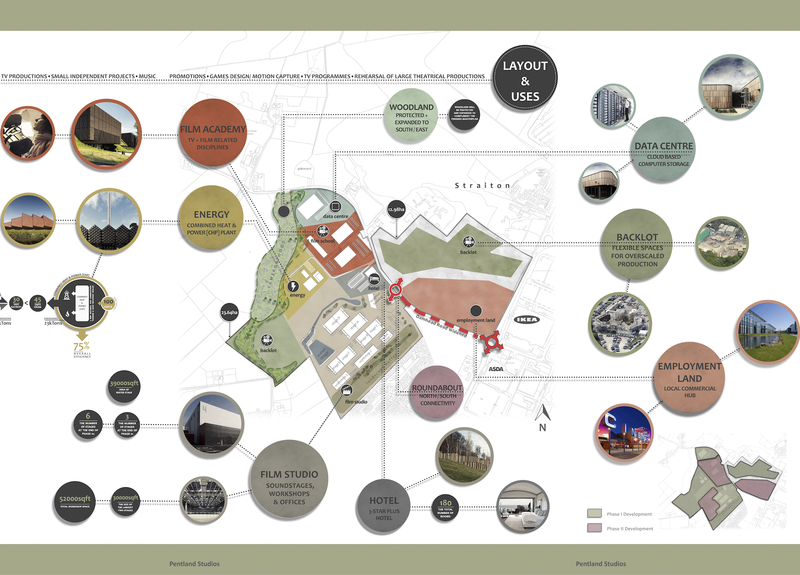 • Site area can deliver the scale of studio that Scotland needs, at 29 acres and can accommodate a backlot for sets which can’t be housed in conventional stages. • Proximity to local and international communication and transport links. 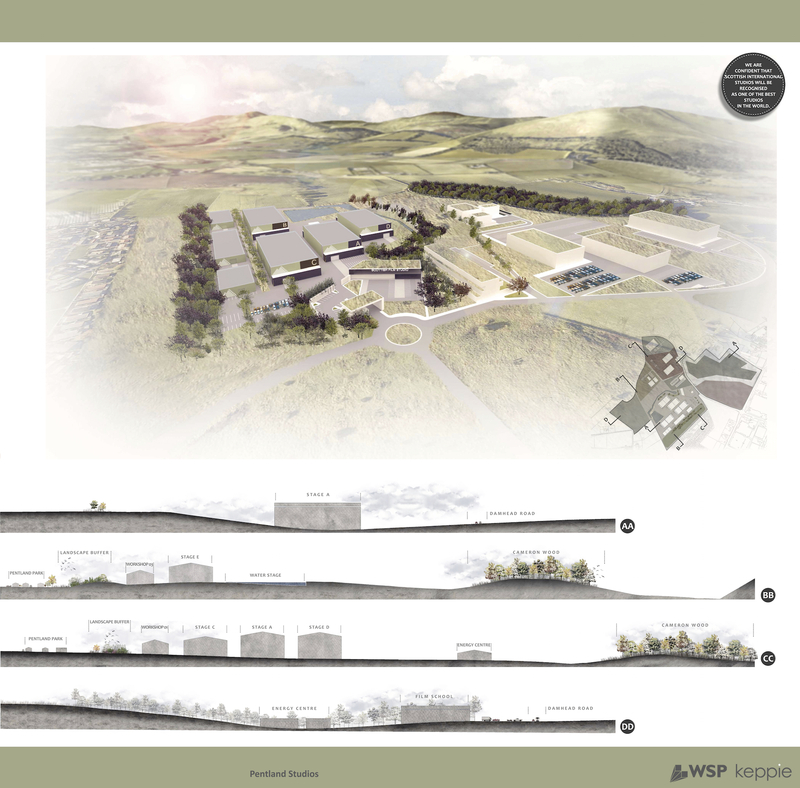 • Site is ideally located to exploit the existing skill base in central Scotland. However, the developers now face a battle against the clock to submit a planning application, with further studio applications likely to be submitted for Glasgow and Dundee. Unlike those applications, the SIS at Straiton would be built using only private funding. This fundamental aspect means that the development will be investment driven. As such, a physical outcome would be anticipated to complete quicker; indeed phase one of the studio complex is planned for completion by 2017. This alone would give film producers access to several hundred thousand feet of filming space, along with the majority of workshops and backlot areas. Pentland Studios also intend to develop a large piece of vacant land opposite IKEA, although the use has not yet been decided upon. The public are being asked what they would like to see constructed on the, currently greenfield, site. Believed to be among the options is a cinema multiplex and a business park. Of course they are looking at other places, but that’s why we in Midlothian ought to bend over backwards to make sure they’ll come to us. And we would do everything we can, in our power ,to bring something because we would, here, have a lot of people employed in really worthwhile jobs; much better jobs than they get across the street from Asda or Straiton and this is a great opportunity for Midlothian. Whether you agree with the councillor or not you can view the exhibition boards below, as presented on Wednesday 14 January. You are then asked to comment on them by filling out a short form here. Could you be Penicuik’s Hunter or Lass?